Do you know how to use Tarot for future prediction? Do you want to give more accurate predictions for love, business, and relationships? If you want to know your future using Tarot, then you are in the right place. 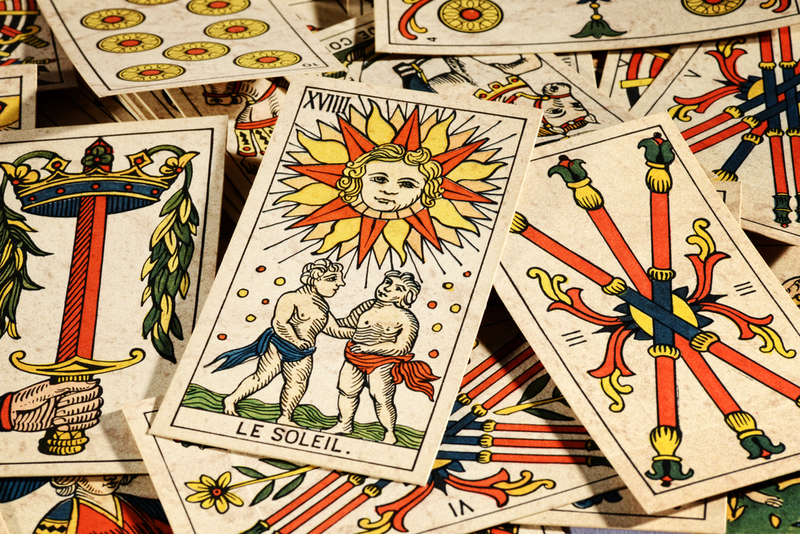 Accurate Prediction is the ultimate goal of a Tarot card reader. However, accurately predicting the future is something which many readers struggle with. Prediction is such a big topic, with many layers in it. Below are some tips I have for accurate prediction using Tarot cards. This sounds pretty weird, but confidence with predictions doesn’t come from confidence building exercise and chakra clearings. Confidence actually originates from being 100% certain that your ancestors are there. It comes from knowing that you are in this work for a reason. Your destiny is what God, the spirits and the universe approved for you. God and the spirits bring things which are meant to be into our lives as if by magic. For example, chances of meeting the love of your life at a gas station. However, just because something is apparently MEANT to be doesn’t mean that it HAS to be. As a Tarot reader, you’ll warn a client that a guy is no good for them, yet they still pursue the relationship. When you read Tarot, you are not just throwing cards and hoping for the best. You are reading the cosmic dance of fate, destiny, and free-will. Not everything is in our control, but not everything is out of it either; it’s a balance. Interpreting this balance and your readings will be more accurate. Before performing your Tarot reading, you have to set your intentions. Setting your plans for predicting the future will ensure that you cannot change your mind when you do not get the outcome which you desire. Having some kind of ritual can make your readings feel important. If your readings are special, you will be taken more seriously. I am superstitious about my cards. I do not let anyone touch them, and I especially do not allow other people to read with my primary deck. Obviously, you will need to design your own rituals and I swear to God they will make your readings more accurate. Court Cards are literally the backbone of prediction. Without being able to read Courts cards accurately, you will never be able to predict with Tarot. In the Tarot reading, a Court card represents other people who have an impact on the situation, so it is so important that you learn to read them correctly. Pretty obvious, but you have to be able to interpret cards accurately on the matter you’re reading about. If you cannot interpret cards for a range of situations, you must work on this while you learn how to make predictions. There have been times when I have read a technique in a book and took a mental note of it because it was so exciting. I would then use that technique in a reading. Something you learn today from a book can be useful in the future. I often see readers who give advice, but do not state specifics. You have to dig deeper. Where are you getting this advice? Where is this advice coming from? WHY are you giving this specific advice? What situation is it linked to? New Tarot readers assume that if they want to give better Tarot readings, they need to rely on their intuition. It is true; you also need some spiritual aspect to your reading practice. Before a reading, always ask the spirits around you for assistance from your ancestors. Tell them to feel their presence. Petitioning your ancestors before performing your readings will make all of the difference. Remember; read the book, not the last page! What would you think about a personality between us who claims that he or she has the ability to communicate with dead peoples? This may sound strange but it’s true. A Lady who known as Louise Eaton claims that she can communicate with spirits and she is doing so since her childhood. She claims that she has been communicating with souls or spirits since she was just a kid. When she turned 6 years old she realized that she is quite different from other kids not because of her disability just because of her special ability. She told us “How she got to know about her psychic abilities?” and turned her talent into her profession. She describes the paranormal experiences that lead her to feel the ability to communicate with Spirits or Souls. When she was just 6 she noticed that she is the only one who can hear those mysterious voices and sounds like footsteps, whispering etc. Louise, a lady who is totally blind, says that her blindness helps her a lot in psychic readings and communicating with the spirits. Because this process need’s a lot of focus and concentration. She says that while psychic readings body language and facial expressions distract a lot and her disability is helping her a lot in this. Few of us may not believe in her words and we use to believe in what we see. So, Louise gives the live demonstration. She is holding demonstrations since past 10 to 13 years. She said that her blindness helped her lot to be a medium to communicate the spirits. Peoples believes her a lot because has no visibility to pick up on body language and face expression to make a reading. She also said that when God sent us to the world with some flaws or disability he grants us and blessed a lot with. And her ability is just a blessing of God. She said that it helps her to focus and feel the psychic energy around her in the atmosphere. Louise said she had a proper training to be a medium and sharp her skills for 7 years. She also told about her premature birth. Louise said that born three months premature, her condition is thought to be caused by an abnormal buildup of blood vessels in her eye from being on and off oxygen so frequently, which scarred her retina irreparably. Louise was just of 6 six when she encountered her very first experience of paranormal acts. Louise said: “It sounds really weird. I’d hear people talking and I’d know they were real voices. It wasn’t in my imagination. “I’d also hear footsteps and have dreams and premonitions. I just knew I was different, but as a child, it was really scary. “I tried to tell my parents but they weren’t sure what to do. They were a bit nervous about it, but they thought I might just be hearing things from next door. Now, Louise is happy and busy in her life and her work. She gives live demonstrations and readings for the present audience. I am one of the best people who can do life readings, tarot readings, and similar readings. I am not a fast mover as you may be but the gift I have, very few of us have it. I am not physically very fit but I push myself as much as possible to work. I don’t want to sit idle but when I am sick then I can’t even move my hand. But one thing where I am very much sure is that I am mentally very fit. With this ability, I can do many things which many people can’t do it. They cannot even think about it. It is not an easy task to read someone’s past or future. It is not easy to make people believe in you, especially when they don’t believe in these readings at all. But I have this special power given to me by God. I can make people believe through my readings and help them to recover from the past and make a brighter future. I don’t have a big family and a house. I am living with just two members and a few animals. There are many things I can’t do by myself so that I have a home health caregiver but when she is at home I can’t do my work, instead, I do art. I just can’t let her watch my computer screen when I am working. My health is I don’t make schedules because I can’t follow it. Most of my work I do through E-mails because it let me do the work later when I am ready to do it. I am slow in my work but still, I was able to do 12 readings every day, 6 days a week. Made good money but later I fell in the hospital and paid there most of it. So now I don’t push myself very hard instead I work as my comfort allows me. People think that if I work this way I will forget their queries but you don’t need to worry, I have your emails and reply to you very soon. Be patient. If you ever visit the countryside, you could have come across with people dressed in motleys and flamboyant outfits sitting by a round table and welcoming people. These warm hearted people are called as gypsy fortune tellers and mostly they are in this profession for generations. Usually, these clans belong to Hungary and they roam from places to places and mostly live in temporary tents. Gypsy fortune telling is often arranged in many city fairs as well. But mostly you will get them in the country. There are many unpleasant myths surrounding the gypsy clans and especially, their fortune telling endeavors. Skeptics are always in a mood to find out viable pointers satisfying their urges or questioning the powers of the gypsy fortune tellers. As a matter of fact, whether you accept or not, there are many such nomadic tribes across the whole world, popular for correctly prophesying the future. They are carrying the legacy of their ancestors who claim for having divine powers to get the visions of the past as well as the future. Here, we have handpicked the popular four ways followed by the gypsies to predict the future. Most of you have seen crystallomancy in many pictures or movies where the gypsy is found sitting with a crystal ball on a table. They claim that they can see the future through that magic ball. Crystallomancy is said to be one of the most ancient future telling methods and fortunately this process is still practiced by many gypsy clairvoyants or fortune-teller. In the past this knowledge was very exclusive and only available to those of gpysy heritage. But that’s not the case anymore. These days the paranormal arts are available to everyone basically. Head over to the irish medium site livepsychic.ie if you don’t believe us. There you’ll find dozen of highly qualified gypsy mediums who can reead your future and give advise based on tarot readings and gypsy fortune telling. Many gypsy fortune tellers consider this to be one of the most sought after methods of predicting the future. In this process, some grains are spread across the ground and they wait for the birds to come and feed on that. The pattern which is left on the floor, the gypsies can predict the future by reading those contours. Call it nonsense or weird, but tasseography is one of the most practiced future prediction process that gypsies often do. They as their clients to drink a cup of tea in a cup and when the tea is finished the gypsy reads the contours formed by sediments of the tea accumulated at the bottom of the cup. By reading the lines on your palms the gypsies can tell you the forthcoming days, your apathies, agonies, winnings etc. Palmistry is one of the oldest fortune-telling practices across the whole world. The gypsies are no wonder out of this fashion. Many of them will ask for your hands and start reading the lines. Call them witch, shamans, sorcerers or simply the fortune-tellers—they are the one who can give a glimpse of what is going to be in your upcoming days by some ways. The uncertainty that the future holds may be exciting to some, but for others, this is hardly the case. Whether it’s love, relationships or a new job opportunity lingering within reach, not knowing what lies ahead can be unsettling. To help find the answers, they’re looking for; some people will reach out to a fortune teller or an individual who predicts the future. Depending on your individual circumstances, a psychic or mentalist may be able to settle some worries in your future. Fortune tellers use a variety of tools to predict the future, including astrology and reading tarot cards and spirit boards. But there are more in-depth, personalized tools that are used as well. Much like a psychiatrist would, a fortune teller evaluates personalities and uses these traits to determine how a person will handle future endeavors. Although not foolproof, fortune telling is a wonderful way to provide enlightenment and instill confidence in people. In today’s world, fortune tellers are portrayed as those seeking commercial gain, but too much surprise, most mentalists believe in their innate ability to connect with the forces and pass this information along to others. If you feel that talking with a fortune teller will help you seek the answers you’re looking for, there is no risk in talking to one. With today’s modern technologies, you can now talk to a psychic from the comfort of your home, without leaving the confines of your computer. The media often portrays psychics as being female and working in small, dark buildings with a crystal ball in tow. But today’s psychics are quite different from that image, particularly since they can offer their services online. There are some reasons why you may prefer to chat with a psychic over the Internet versus face-to-face. First, many people are hesitant to contact fortune tellers in the first place, even though they may have a longing to do so. Instead of feeling embarrassed or guilty, you can talk with a psychic in private. Second, when being within the comforts of your home, you will feel most relaxed and get more out of the experience. This can be difficult to do when you’re fitting in an appointment or rushing to get there. You can also choose a time that is most convenient such as after the kids go to bed, or you’re home from a late shift at work. Finally, when you have access to online fortune tellers, you can connect with a variety of psychics and find one that fits with your personality. Many people find the psychic they like on the first try while others talk to several before making their final selection. One of the greatest benefits to choosing an online psychic is that you never have to second guess the person doing your reading. All fortune tellers have a short bio and background available on them, making it easy to see their work experience and the types of texts they specialize in. You can also view what others are saying about the mentalists, which is an excellent way to know that you are putting your trust in a credible source.